Quilting Adventures: Leaving on a jet plane ....! 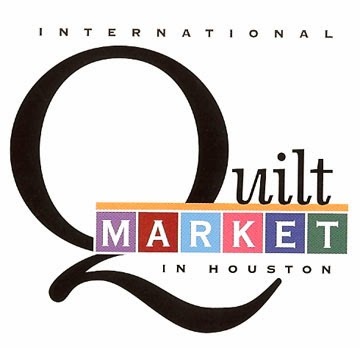 I cannot begin to tell you how excited I am to be going to Market 2013 in Houston, Texas. I'm like a little kid going to Disney for the first time! I'm bringing my camera and laptop. DH thinks I won't have much down time to blog .... I'll give it my best shot! I have plans to meet up with bloggers etc.... So much to see, so much to take in ..... I'm ready to do it all! Take care everyone! Catch you later! Cheers! Have fun...wish I was there to meet you! Have a FABULOUS time! Take lots of pictures -- can't wait to hear all about it! I hope you have a wonderful and safe trip and can't wait to hear about your adventures. I always do my computer things at night while I am resting, while away. Have a fantastic trip, can't wait to hear all about it. I have been there twice! Have lots of fun and hope you let us join the fun with you!